An outpost of the rulers of Kangra, history of Hamirpur has a close connection with the Katoch dynasty of Kangra. Raja Hamir Chand, a Katoch ruler from 1700 to 1740 AD, built a fort at Hamirpur that laid the foundation for a modern town. Another Katoch ruler, Raja Sansar Chand (1775 to 1823 AD) picked out scenic Sujanpur Tihra and made it the capital of his principality. 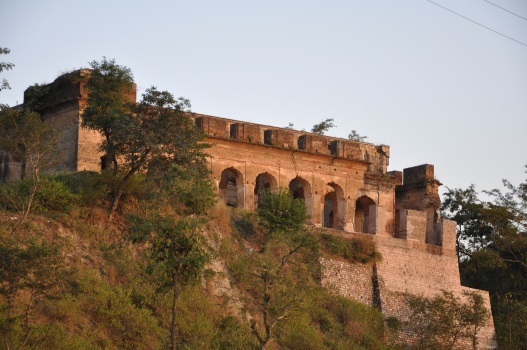 Remnants of forts and palaces at Sujanpur Tihra and Nadaun testify to the glorious era of Hamirpur’s history. The area was later overrun by the Sikhs under Maharaja Ranjit Singh. In 1846, after the Sikh armies lost in the first Ango-Sikh war, the territory was merged with the British empire. After Independence, at the reorganization of Punjab in 1966, Kangra, of which Hamirpur was a part, was merged with Himachal Pradesh. To give the region a separate identity, Hamirpur was carved out as a separate district on 1st September, 1972. A land of low lying hills with dense pine forests and fertile valleys, River Beas meanders its course through middle of the district. Growing some of the finest mangoes, Hamirpur is also identified as the land of the brave for the contribution and sacrifices soldiers from the region have made in service of the nation. Hamirpur town is the headquarter of the district and can easily be reached from Kangra, Una, Bilaspur, Shimla or Chandigarh. English and Hindi are understood and spoken by people engaged with tourism. The native people mostly speak Hamirpuri, a dialect. Some sections also speak Punjabi. Spring and autumn temperatures are moderate in Hamirpur, the summers are hot and it does get cold for winters that require light to heavy woollens to ward of the chill. Cotton clothing is best suited for the warmer days. Air: The nearest domestic airport is Gaggal, Kangra at a distance of 84 km. Regular flights from Kangra – Delhi operate around the year. Rail: Nearest rail head for Hamirpur is Una Railway Station, which is 66 km away. Road: Hamirpur has excellent road connectivity. State and privately owned buses regularly ply for Shimla, Mandi, Chandigarh, Dharamshala and other cities. For travel in comfort, taxis are readily available. Visit to the historic fort and ancient temples at Sujanpur Tihra. Enjoy trekking and water sports at Nadaun. Visit to Baba Balak Nath temple at Deotsidh to seek holy blessings. Local dhabas and small road side hotels all across Hamirpur present a good opportunity to taste fresh, lip-smacking food with a glass of tea or lassi (buttermilk base with water). Hotel Hamir restaurant run by Himachal Pradesh Tourism near Galore offers tasty, hygienic food at an affordable price. The town is well connected by road. Private and public transport bus routes are connected to cities like Dharamshala, Chamba, Chandigarh, Delhi, Shimla and others. In Hamirpur, auto rickshaws and taxis are readily available for commuting locally. Hamirpur has good medical facilities. There is a well equipped government hospital, which is attached to medical college in the town. Hamirpur also has an Ayurvedic hospital that treats with traditional medicine systems. There are a number of well run private clinics in the area that meet the needs of tourists in the region. All national mobile phone operators offer services in Hamirpur. Internet connectivity in the district is excellent with good 4G and 3G reception. Cultural programmes showcasing the folk music and dances of Himachal Pradesh and other states are held. The Hamir Utsav is celebrated in the memory of existence of Hamirpur District. Every year in the month of March/April, fair at the holy shrine of Baba Balak Nath is the attraction for the tourists. On the left bank of River Beas, Sujanpur Tihra was a retreat for the rulers of Kangra. It was Maharaja Sansar Chand, one of the last famous Katoch rulers, who turned this fledgling township into his capital in the early 19th century. A wide meadow (Chaugan) in the towns heartland is where the residents hold most of their festivals, fairs and other public functions. Under royal patronage palaces and temples were built and the famous Kangra school of miniature paintings here turned into an artistic school of excellence. Important monuments at Sujanpur are the hilltop remains of a palace, the temples of Narvadeshwar, Mahadev, Vyasheshwar, Gauri Shankar, Murli Manohar and the Krishna temple. Wall painting on some of these temples exhibit the artistic brilliance of the painters. The tomb of Nawab Ghulam Mohammad is a testimony of the peaceful times that the township still lives by. Easily reachable, Sujanpur is 25 km from Hamirpur. Overlooking the Beas River, cool and scenic Nadaun was picked out by the Katoch kings of Kangra for a summer retreat. A saying ‘Aaye Nadaun, Jaaye Kaun’ loosely translated as ‘who comes to Nadaun, does not go back” is attributed to Bulleh Shah (1680-1757 AD), a Sufi poet who fell in love with the place. In the 17th century at the Battle of Nadaun, Guru Gobind Singh, the 10th Guru of the Sikh’s, with the help of other hills kings defeated the Mughal general Alif Khan. To honour the event, Maharaja Ranjit Singh later had a Gurudwara built at the place where the Guru had pitched his tent. It has become a pilgrimage center. There are remnants of a fort on a hilltop that was built by the Katoch rulers. An old Shiva temple attracts a lot of daily devotees and pilgrims from many places. A boat ride on river Beas, a view from a bridge built over the wide river, game fishing and white water rafting between Nadaun and Dehra make for an eventful outing. 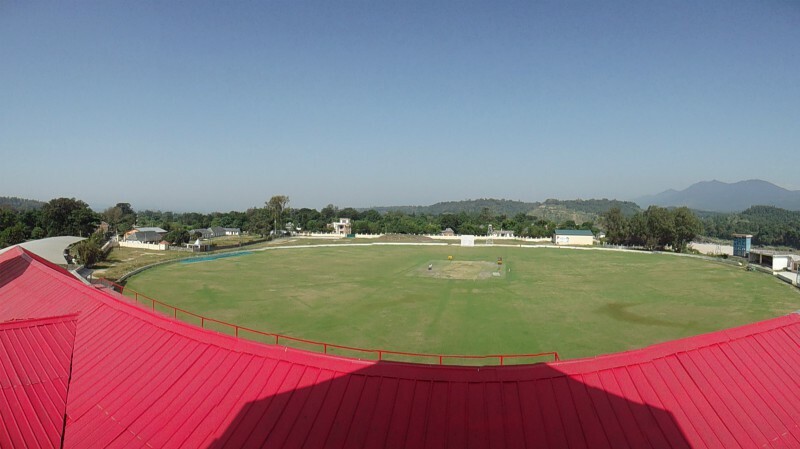 There is a Cricket ground at Amtar near Nadaun. Naudan is 28 km from Hamirpur and on the same highway the temple town of Jwalaji is 14 km from Nadaun. 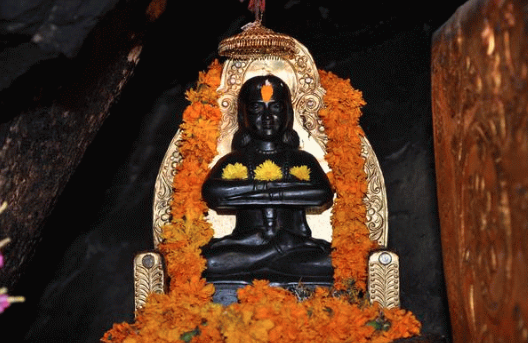 A cave shrine of Baba Balak Nath on a hillside at Deoth Sidh is an important pilgrimage center which is visited by many, especially in March/April every year. The place has kept a ‘light of truth’ burning for centuries as believers consider the flame sacred because it was first lit by the boy sage about 500 years ago. For thanksgiving, devotees offer Rota, a sweetened bread, at the altar. There is a specially constructed platform inside the cave temple which is used by women to make their offerings and seek blessings. Baba Balak Nath is 44 km for Hamirpur, 60 km for Bilaspur and 64 km for Una. Near Hamirpur, this Shiva temple is about 500 years old. A farmer plowing his field is said to have stumbled upon a large stone that turned out to be a Shiva Lingam. A temple came up at the spot as the Ligam was too big to be moved. Standing amidst rivulets on both sides adds to the beauty of the temple. Every year in May a fair is held here, where trading in cattle is done. Devotees visit the place round the year. An Inn has been constructed to house distant visitors. 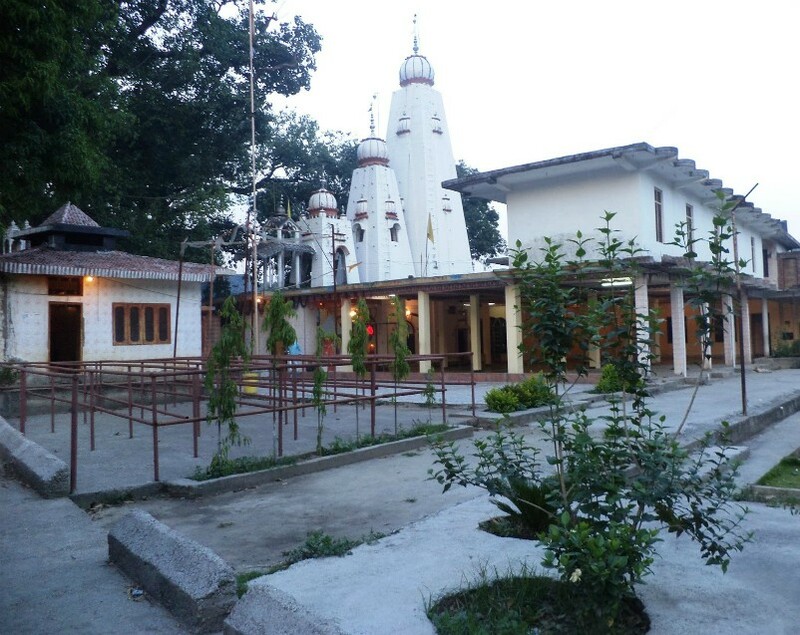 On the Hamirpur – Jahu road, this temple is only 8 km from Hamirpur.